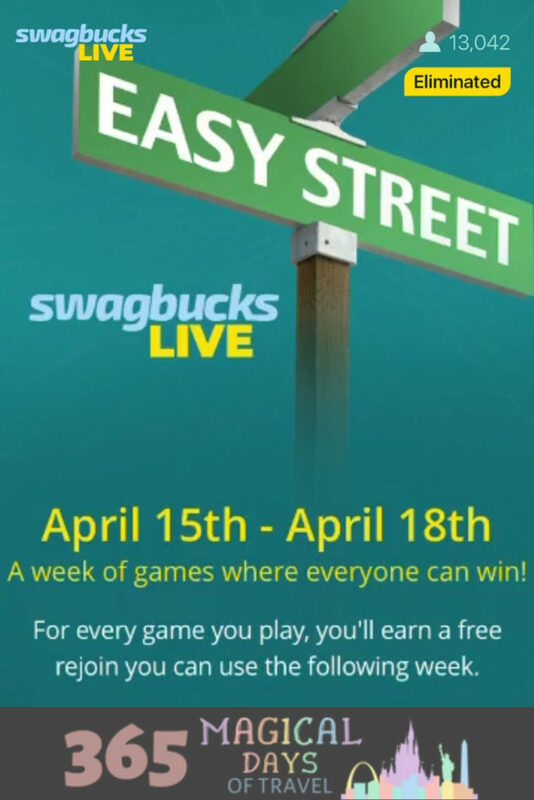 On yesterday’s Swagbucks LIVE, I almost won BOTH games! That’s because they are running a promotion called Easy Street where all of the questions are relatively easy. Plus, they are giving a bonus Free Rejoin for every game you play this week. Okay, so some of the questions were not really easy, at least for me. I got confused by the wording and thought it was trying to trick me. However, they are definitely easier, and you always get bonus SB for playing. The other day, a handful of people won and split the $1000 prize, so that could be you! I really missed the lack of a Spin & Win in Swago last month; I’m hoping they bring it back this month! I could rack up a ton of Free Rejoins through Spin & Win. 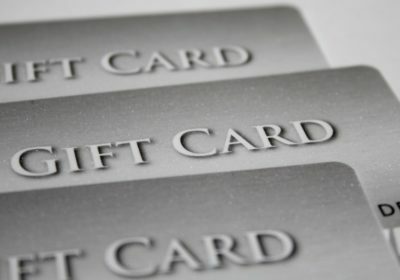 They help me stay in a game of Swagbucks LIVE longer because I refuse to pay to stay in a game knowing that some of the questions are extremely obscure. Besides, you can only rejoin once per game, right? This week, each game you play will give you a Free Rejoin, just enough to stay in next week’s games! Games are held at 5:00pm PT, Monday through Thursday, so you have a few more chances this week to earn those Free Rejoins. Also, they generally do an easier game on Mondays at 4:00pm PT, so definitely tune in for that. 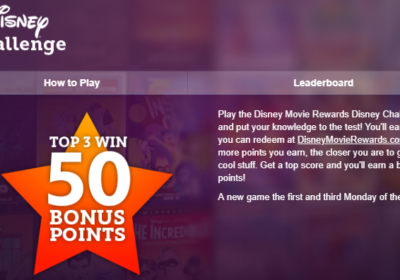 You can earn Free Rejoins by inviting others to play as well. Here’s my referral link. 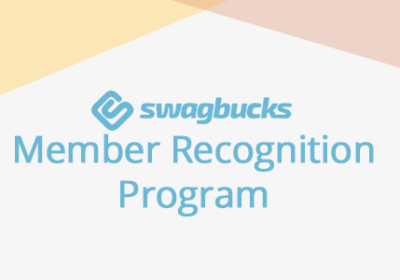 Here’s the link to the article I wrote about SwagIQ, which is what it was called before Swagbucks LIVE. A few things have changed since then, namely the name of the app and that there are no longer games on Friday at noon. The next game is at 5:00pm PT tonight. Download the app right now, and check when 5:00pm PT will be in your time zone. 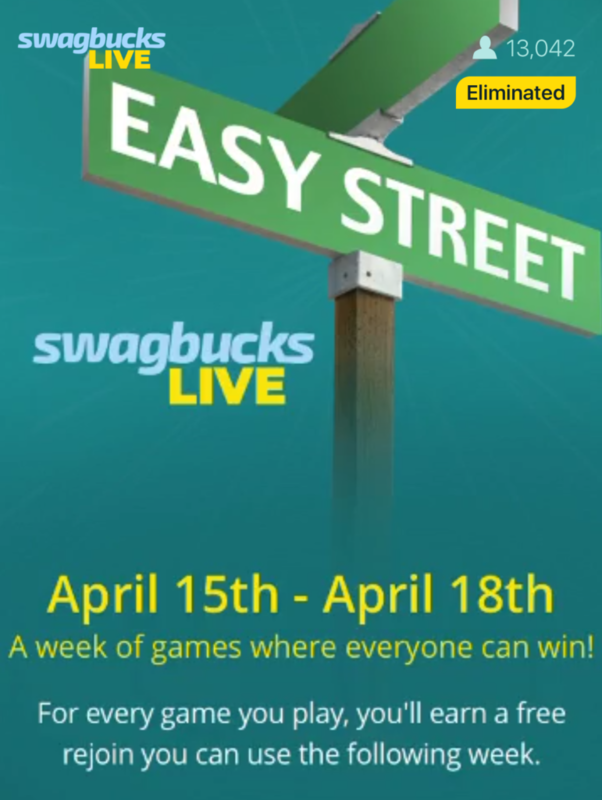 I’m excited to play this week and see if I can get to Easy Street!